Why Should I Become a Sponsor of Applecross Cricket Club? Applecross Cricket Club is always moving forward and we want you to join us as we aim to become one of the best sporting clubs in Western Australia. Our vision is to promote cricket throughout our community and last year we did this by fielding 6 senior sides and, for the first time, 2 senior female sides with great on-field and off-field success. We want YOU to become part of the Applecross Cricket Club family as we look to engage further with our community. Our thriving Women’s cricket program has been fully endorsed by the Western Australian Cricket Association (WACA) and we have been chosen as one of the few clubs in the state to receive mentorship from the WACA. With 8 Grand Final victories in the past 2 years, including a Women’s flag in our inaugural season, we hope you’ll consider being part of our family and that you will celebrating these victories with us for the 2018/19 season. What Do I get out of being a Sponsor of Applecross Cricket Club? Our social media reach in the last 12 months has seen Applecross Cricket Club reach on average 15,000 unique Facebook users every single week. This is up to 30 times more than other similar clubs and the exposure a business receives from sponsoring Applecross is unmatched. We are also one of the only local sporting clubs to run our own podcast, with over 3,000 downloads so far in it’s inaugural season. There are multiple package levels available for the 2018/19 season each of which offers you and your business the opportunity to be part of a club which prides itself on working hard to look after its players, members, supporters and of course….its sponsors. 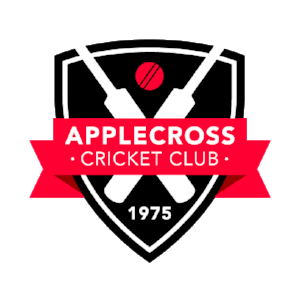 Becoming a Sponsorship Partner of Applecross Cricket Club opens up many potential opportunities through the club’s membership, supporter and sponsorship databases of 600+ contacts, while at the same time being involved in the support of local “grass roots” sport for men and women!